They say March comes in like a lion and goes out like a lamb, so what better time to start thinking about Spiking the Lemonade for the tastiest – Hurry Up Spring – Cocktails. 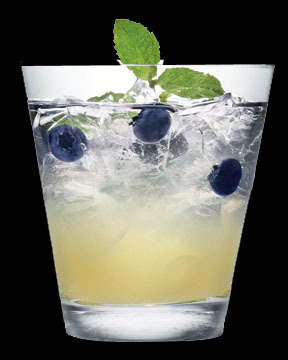 Muddle the blueberries and lemon wedge in a highball or rocks glass. Fill with ice. 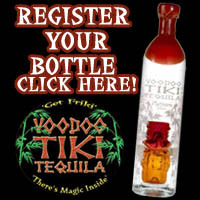 In a separate mixing glass combine Voodoo Tiki Platinum Tequila, fresh lemon juice and agave nectar. Stir. Add to ice and muddled blueberries and lemon. Cover with shaker and shake well. This technique mixes all the liquid ingredients nicely, while utilizing the ice to trap the solids on the bottom of the glass. For Mar-Tiki Style – served up in a Martini Glass - muddle the fruit in a mixing glass. Add ice. Add liquid ingredients and shake well. Remember! Water from the shaken and partly melted ice is part of the cocktail. A standard Martini glass is 5.5 ounces. So we’re expecting at least an ounce of water from the shaken ice to balance the agave nectar sweetness and the tangy lemon juice. Meanwhile, the lemon zest adds effervescence and fragrance to the sweet rich agave profile of ultra premium Voodoo Tiki Platinum Tequila – Enjoy! Enjoy this delicious spring cooler on a rocking chair on your front porch with an old friend, and we thank you for you fine support. Muddle the mint and lemon juice (you can also muddle four lemon wedges in place of lemon juice, as a large lemon will yield 2 oz) in a mixing glass. Add ice and combine Voodoo Tiki Platinum Tequila and agave nectar. Shake well – hard enough to break the ice. 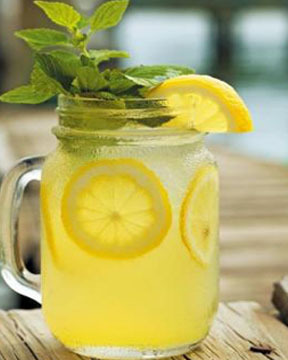 Strain into a drinking jar decorated with lemon slices. To trap lemon slices to walls of drinking jar fill the glass with ice. Strain well over fresh ice. Garnish with mint. Rock & Repeat. It’s great to be “Stuck in the Muddle” with a Voodoo Tiki fan that knows how to mix the Mojito inspired Mo-Tiki. Delicious! 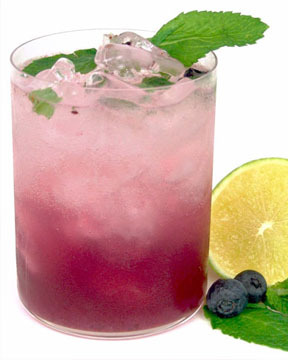 Muddle the blueberries, mint and lime wedge in a highball or rocks glass. Fill with ice. 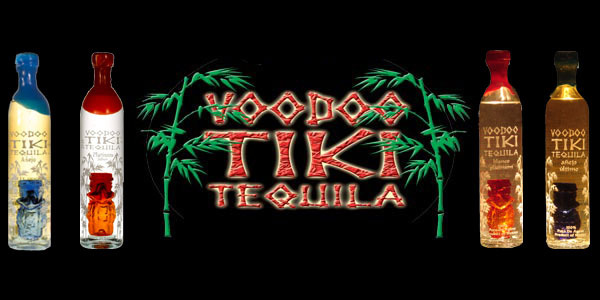 In a separate mixing glass combine Voodoo Tiki Platinum Tequila, fresh lime juice and agave nectar. Stir. Add to ice and muddled blueberries and lime. Cover with shaker and shake well. Remember! Water from the shaken and partly melted ice is part of the cocktail. A standard Martini glass is 5.5 ounces. So we’re expecting at least an ounce of water from the shaken ice to balance the agave nectar sweetness and the tangy lime juice. Muddle the raspberries, in a highball or rocks glass. Fill with ice. 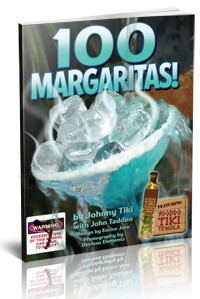 In a separate mixing glass combine Voodoo Tiki Platinum Tequila, fresh lemon juice and agave nectar. Stir. Add to ice and muddled raspberries and lime. Cover with shaker and shake well. Garnish with three raspberries on a spear.